02 Dec Connect with Kaytons! 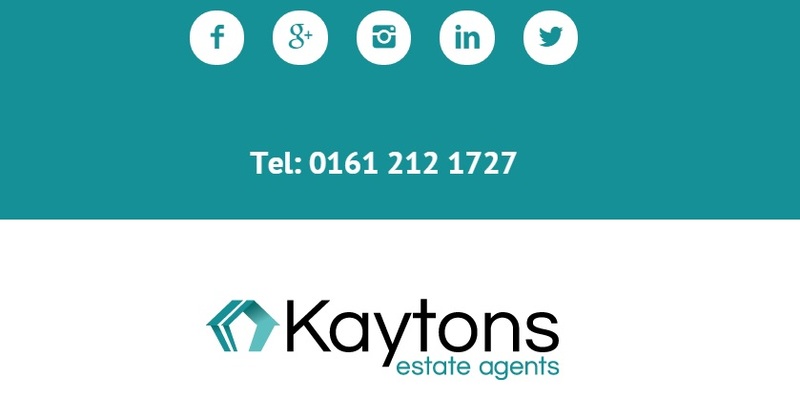 Stay up to date with all of the latest news and deals from Kaytons Estate Agents via our social media accounts. We’ll keep you posted on our latest available properties, sales and property news, plus you will be the first to know about our fantastic deals. As soon as we have a new property available we’ll let you know via our Facebook page with plenty of great pictures for you to check out. Plus stay up to date with any promotions we have running and the latest information from the property market. Keep your eye out for our competitions – there are some fantastic prizes up for grabs! We love hearing from our customers, so let us know what’s happening by connecting with us on Twitter. We’ll also send you the latest information on properties in Manchester and all of our exciting offers and promotions. Want to be inspired by the latest property developments happening in Manchester? Follow us on Instagram to see photographs from some of the most beautiful buildings in this city. Connect with us via Google+ to learn more about Kaytons and our latest property offers.